Long-standing member of Vt. Symphony Orchestra and several non-classical ensembles. I teach classical, jazz, bluegrass, traditional, and swing. I've been a member of Fiddlesticks, a VSO trio that brings an interactive program of string instruments to elementary schools around the state, for many years. 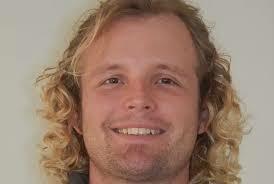 I am David Nacmanie, world traveler, musician and teacher. I've taught music in NYC, the Washington D.C. area, Samoa, Germany, and Japan! In all of my musical ventures, having fun is the most important aspect. With that in mind I tailor each lesson to the desires of the student. Some students work best through books like Breeze Easy while others learn best through playing songs they hear on the radio or on video games. Music lessons are not just for kids. I've taught several students who are adults. Depending on your current performance level, instrument and learning style we will choose a set of music which works best for you. The best lessons are the ones that you can listen to over and over again. I recommend bringing a recording device to your lesson so you can review what was covered. 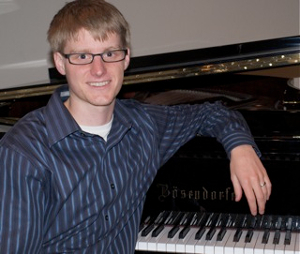 Luke has over a decade of experience as a private music educator, having taught ages 5-85, and specializes in a unique curriculum that combines music composition/creation with piano instruction. He holds a BA and MFA in Music Composition, Musicology, and Pedagogy and is currently pursuing a Master of Education in Interdisciplinary Studies degree. Luke has recorded two albums and continues to compose new works. His studio name, Music PLACE, stands for Play, Listen, Audiate, Compose, Explore. Luke's music education philosophy features the development of social and emotional skills as well as creative and critical thinking skills. He believes that the ability to create new music on one's own is an integral part of developing total musicianship and a life-long love of learning. In addition to being a private educator, Luke also serves as the Executive Director for Abundant Silence, a nonprofit new music organization that supports the work and development of 21st Century composers. Melissa is a classically trained flute and piccolo player, and holds a Bachelor of Music Degree from Dalhousie University in Halifax, NS. She studied with flautists Elizabeth DuBois-McCartney and Christine Feierabend, as well as other members of Symphony Nova Scotia. 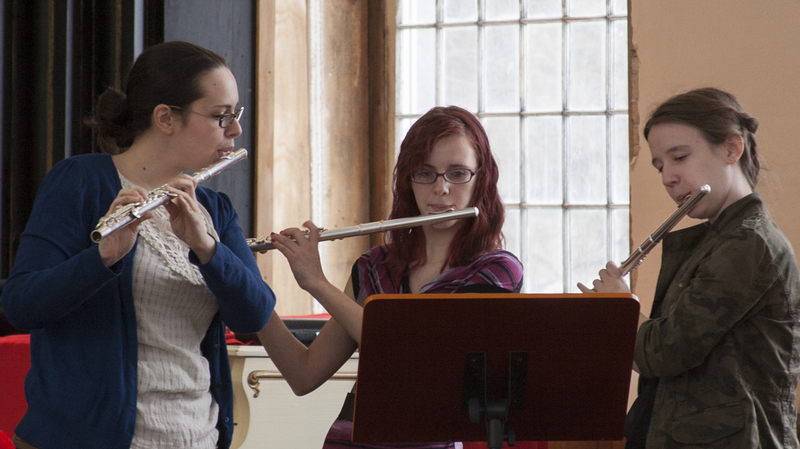 Melissa also has a flute studio where she teaches beginner through advanced students (including piccolo). She has also played the saxophone for more than 20 years, and has studied music theory and music history. In addition to flute and piccolo, she also offers saxophone lessons, and beginning piano and music theory lessons designed for each individual student's needs. A regular performer, Melissa has appeared at the Summer Concerts at Saint Gaudens National Historic Site, WCCMA's Summer Concert Series at Union Church, as well as other solo and collaborative engagments in New England. She has collaborated on projects with internationally acclaimed musicians Jose Lezcano, Dinuk Wijeratne, Kinan Azmeh, and Nicholas Halley and works regularly with area musicians Angela Biggs, voice, and Kirsten Becker, piano. Melissa is a member of the Windham Orchestra, Claremont American Band, and Claremont Jazz Band, and has appeared with the Keene Chamber Orchestra and the Sage City Symphony. In 2014 Melissa performed the world premiere of a new work for solo flute and orchestra by internationally acclaimed composer Kinan Azmeh, commissioned for Claremont's 250th Anniversary. In 2015 she was awarded the NH Governor's Award for Distinguised Arts Leadership. Melissa helped to create the Bach Tree Intensive of Collaborative Musician together with award winning musicians Dinuk Wijeratne and Nicholas Halley, a new approach to creating music and collaborating for students and professional musicians. Melissa is the Executive Director of the West Claremont Center for Music and the Arts, and the Music Director for the Saint-Gaudens Memorial Summer Music Series at Saint-Gaudens National Historical Site. I teach from my home studio in Randolph Center, and also am willing to travel depending on distance and schedule. My training includes classical as well as traditional music, and I perform regularly in the regional area. My students include children and adults, experienced musicians and beginners. My focus in teaching is to foster your natural capability and creativity, feed your desire to express yourself through music-making, guide you to play and interact with your instrument in ways that delight you, and inspire you with confidence-building experiences that utilize the many elements of music. My intention in teaching is for you to ultimately develop a masterful understanding of what music is, an insatiable appetite for lifelong learning, an appreciation and respect for musicians and music of all kinds, and a satisfying command of your physical body to create music on your instrument of choice. I am happy to talk via phone to explore your interests. I do have experience with string instruments as well, and am happy to work with duos and small ensemble groups also. Primarily I teach by ear, but will also suggest resources or work with ones you bring to facilitate your learning. Rebecca is a new music teacher at Thetford Elementary School. She recently graduated from Keene State College with a B.M. in Music Education. 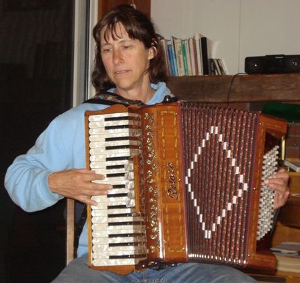 She has had experience teacher beginning band group lessons as well as private lessons. Current lesson rate is $20 per 30-minute lesson. 60-minute lessons can also be scheduled. The Upper Valley Music Center is a community music school with several teachers covering a variety of instruments. For more information, please visit their website.